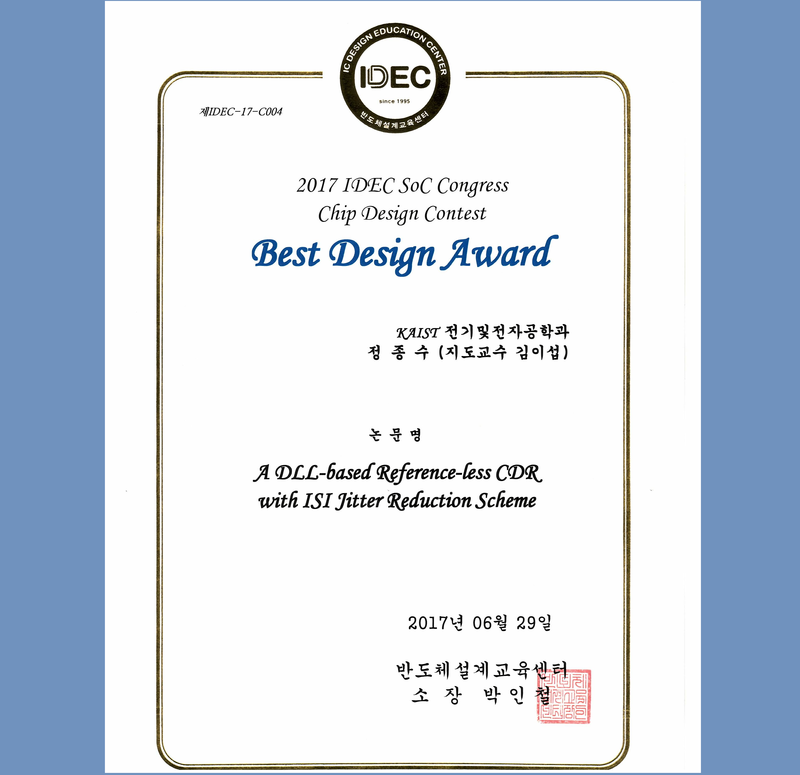 Chong-soo Jung, Dong-il Lee and Dae-woong Lee(Advisor Lee-Sup Kim) received “Best Design Award” in 2017 IDEC SoC Congress Chip Design Contest. 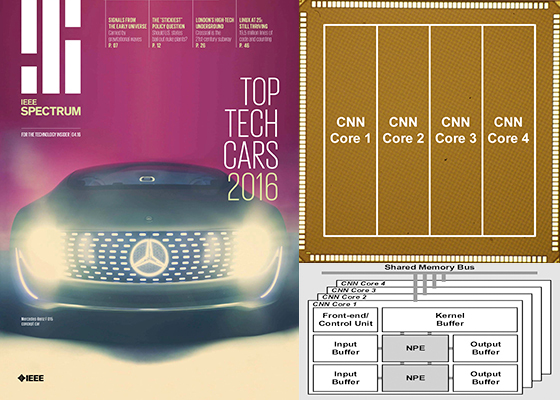 Our Convolutional Neural Network(CNN) chip presented at ISSCC 2016 is covered in the article "Neural Networks on the Go" in the IEEE Spectrum April 2016 Issue. 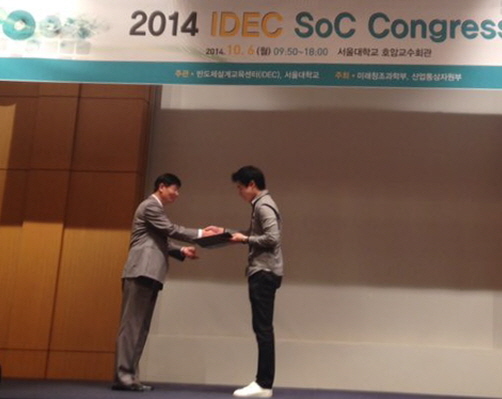 Yong-Hun Kim, Young-Ju Kim, and Tae-Ho Lee (Advisor Lee-Sup Kim) received “Best Design Award” in 2014 IDEC SoC Congress Chip Design Contest. 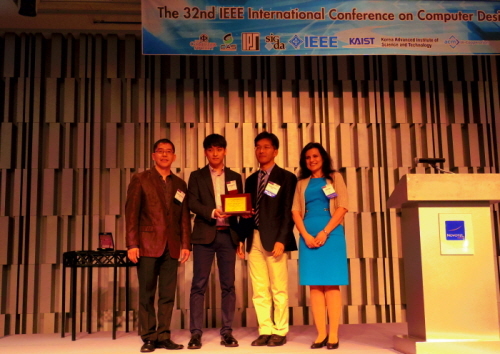 Jaehyeong Sim, Jun-Seok Park, and Seungwook Paek (Advisor Lee-Sup Kim) received “Best Paper Award” in The 32nd IEEE International Conference on Computer Design. 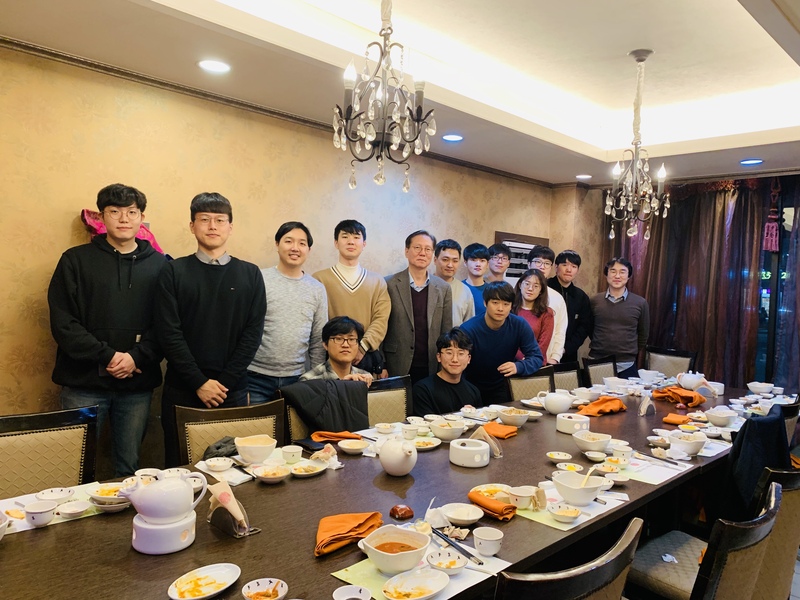 A source synchronous architecture with constant and wide jitter-tracking bandwidth (JTB) is presented. The proposed receiver is based on an injection-locked oscillator (ILO), which provides jitter filtering and phase deskew simultaneously. 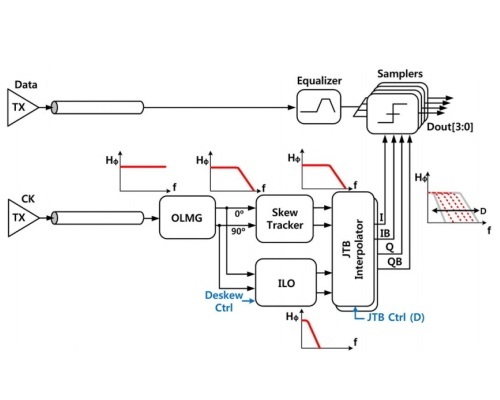 While using only the ILO has intrinsic two dependence problems (JTB versus deskew and JTB versus a voltage-controlled oscillator tuning range required for 1 unit interval deskew), the proposed receiver makes them independent. 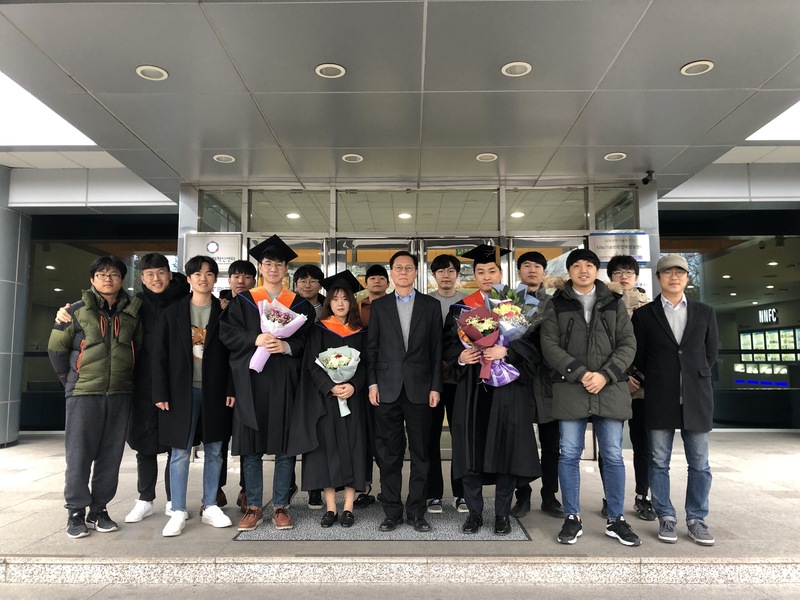 Therefore, the proposed receiver can achieve the optimal JTB in a wide range by controlling deskew phase and JTB independently. A test chip was implemented to prove 11Gb/s data recovery with constant 70MHz to 1GHz JTB in 0.13μm CMOS. Demonstration video of object classification from 32x32 input images using our CNN chip. Demonstration viedo of image classification from 28 x 28 handwritten digit images using FPGA.